Our wedding videos start at $2500 which includes 6 hours. Call us today to request a quote or schedule a date! It goes without saying that the day of your marriage is likely to be amongst the most important and cherished moments of your entire life. It’s the moment during which you enter into a relationship much greater than yourself. It’s the moment from which on you’d share everything you have with the person you love and treasure the most. It’s the moment from which on you’d never be alone. And, quite frankly, it’s easy to understand why people want to commemorate it in the most effective and splendid way possible. After all, despite the gravity of the day, it’s just a regular day which is going to come and go as quickly as you can imagine, leaving you with nothing but the memories to treasure. And this is where an amazing aerial video of your wedding, shot in 4K resolution, using the most modern drone aerial technology and professional operators is truly going to amaze you. 805 Aerial is a Central Coast based video production company which stands to offer just that – nothing short of perfection. We offer so much more than just a regular and, frankly, quite dull wedding video services. Our approach is entirely different. Apart from the conventional and charming on-ground videos that we are going to create for you, we offer something completely different. We offer a tremendously impressive and professionally excecuted wedding videos for San Luis Obispo County weddings. Now, it’s important to note that technology is advancing by leaps and bounds and we stand to take advantage of this progress in order to provide our beautiful wedding couples with possibilities which are not found anywhere else. When it comes to our wedding video services in San Luis Obispo, our clients characterize them as engaging, professional and original. If you are seeking to get a visually stimulating, highly effective and most importantly – adequate and relevant shot from the hawk eyes of our high-end 4K Sony A7S and 240 fps Sony FS700 tech, you’re in for a treat. Hire professional wedding videographers in San Luis Obispo. We service the entire Central Coast and SLO County includuing Paso Robles, Atascadero, Pismo Beach, Arroyo Grande, Oceano, Santa Maria, Nipomo, and Santa Barbara. What you want to understand is that our wedding videography in San Luis Obispo is designated to add realism, context and charm to your wedding. On top of that, the years of experience that we have in the field are what allows us to capture every cherished and important moment from your wedding. The only difference is – it’s from above and below. Needless to say, San Luis Obispo County offers a range of different locations where you can have your wedding. A regular on-ground wedding filmer will never be able to capture the beauty of these tremendously intricate, interesting and breathtaking locales. We, on the other hand, can. SLO is one of the most preferred wedding destinations in the central coast of the country. And, all of this is not without a good reason. There are particularly beautiful and charming locations which are capable of fulfilling the dream wedding fantasy of any bride. What is more, the entire area is sprinkled with charming resorts which provide a range of different types of wedding receptions. From humble and low-budget options to luxurious and incredibly expensive resorts, you are capable of having the wedding that fits your financial means perfectly. And, this is not a small part of the organization as you have to keep track of the budget. With this in mind, here are a few intricate locations that a lot of our clients tend to prefer. Our aerial wedding videography will enable you to capture the entire charm and magic of these special places. Paso Robles is a small city in SLO County in the state of California. Tucked in the northern part of the Salinas River, it offers an array of different wedding receptions. Vintage Ranch, Vina Robles Vineyards & Winery, Allegretto Vineyard Resort, Terra Mia Vineyards and others of the kind – all of these are splendid bits of paradise which will fulfill your dream wedding. Weddings venues in Paso Robles have become extremely popular over the past decade. The booming wine industry has spurred global tourism frenzy. It’s not surprising that weddings and wine go hand in hand. Those looking for a rustic, vineyard wedding should check out Paso Robles, California. Pismo Beach is another very small city which has about 8,000 residents in SLO County and it’s in the Central Coast area of the State. If a beach wedding is what you want, this is the site to host it at. 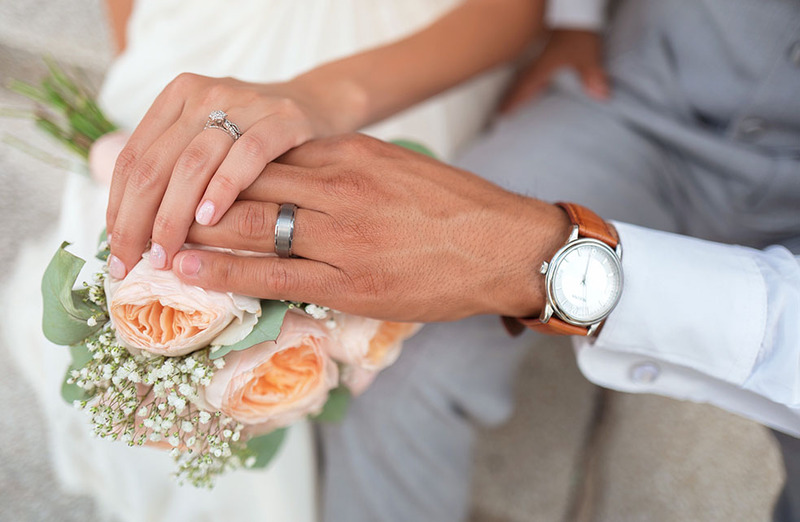 Dolphin Bay Resort and Spa and the SeaVenture Resort offer some moderate to affordable wedding receptions that you could take a look at if you want to have a beautiful wedding on the sandy beaches of California. Pismo and Shell Beach offer beautiful wedding venues right along the Pacific Ocean. Expect windy afternoons and fresh sea breeze, and beautiful light come evenings. Don’t be surprised of the marine layer as well, that loves to stick around during the summer months. Avila Beach is a small community in San Luis Obispo Bay and it is another great venue for you to have your dream beach wedding. This is a slightly larger city in comparison to the ones we listed above and it definitely has its natural beauty prepared for your wedding. The Cypress Ridge Pavilion is one of the most preferred locales that our clients tend to host their weddings at. It offers stunning vistas and affordable accommodation which is usually something that the wide majority of people go for. Of course, there are quite a lot of other venues that you can go for, including Nipomo, Big Sur and others of the kind. 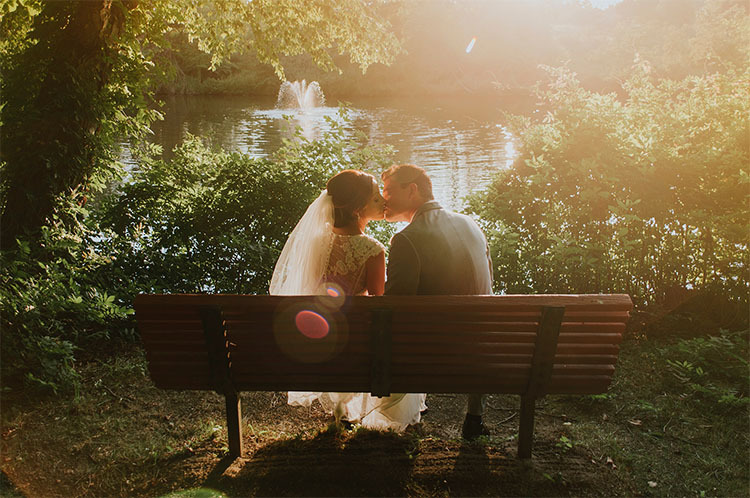 All of them, however, have something in common – they all reveal truly breathtaking scenic vistas which are splendid for our aerial wedding video services. Nothing is going to be more glamorous and at the same time conveniently charming than an aerial video depicting you and your loved one sitting at the edge of a rock or on the golden beach, overlooking the sunset, gazing upon the future that you are about to start building together. If that’s not worth considering, we don’t know what is. 805aerial is a company with years of experience which is perfectly capable of handling your aerial videos. We have refined the craft to the point where our services are nothing short of flawless. We offer different price plans to accommodate your preferences and financial means. We are here to turn your wedding into a memory that you’d be able to treasure forever.